Novelty spots are all the rage again ! Phal. 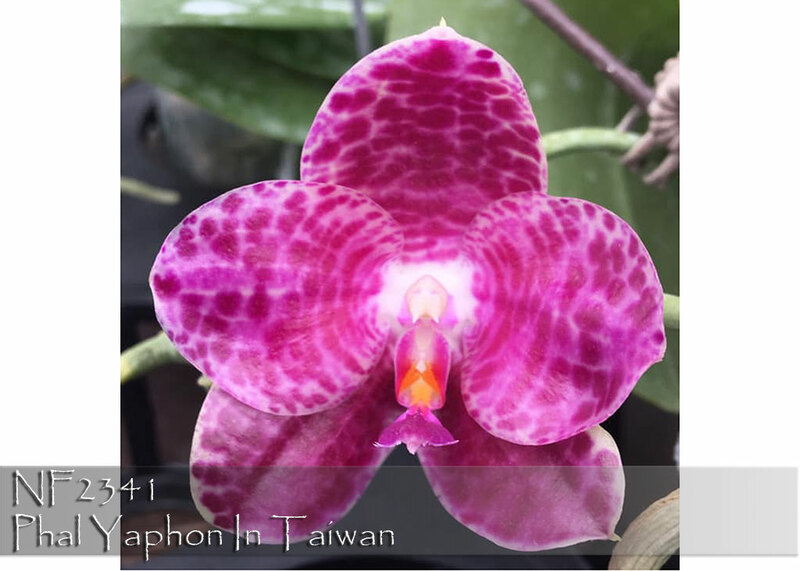 Yaphon in Taiwan is a fast grower for this type of breeding and with Phal. 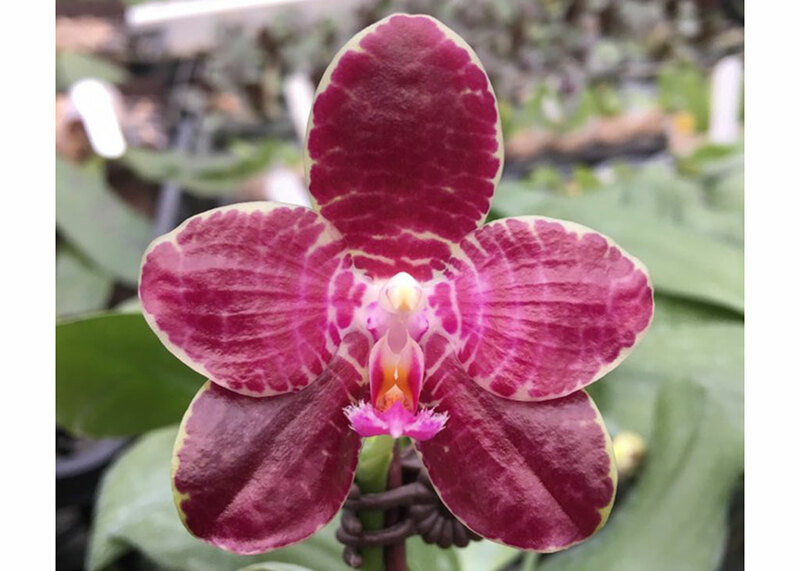 gigantea as the pollen parent, it will help to further intensify the accents from its Phal. lueddemanniana parentage, fusing their spots to produce almost totally solid flowers. In addition, the form for this type of waxy novelty breeding will be much fuller, not to mention the delightful fragrance that will result. 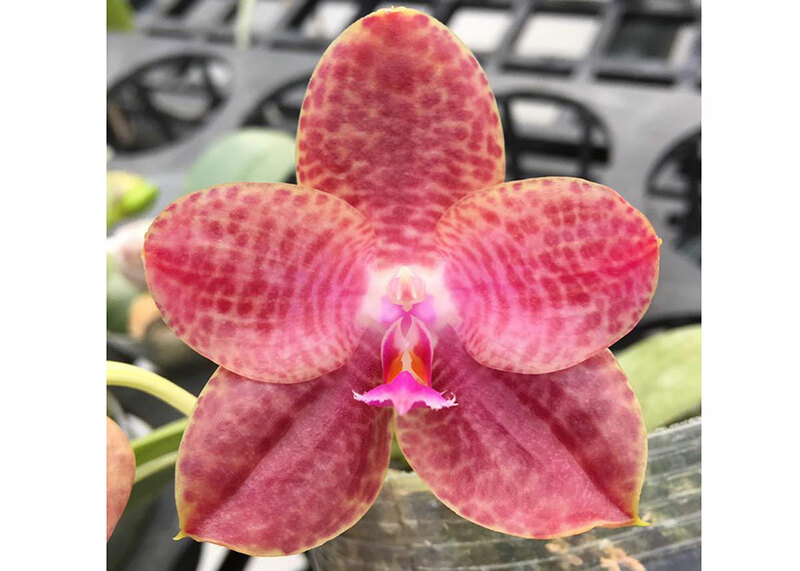 The product of four important Phal. 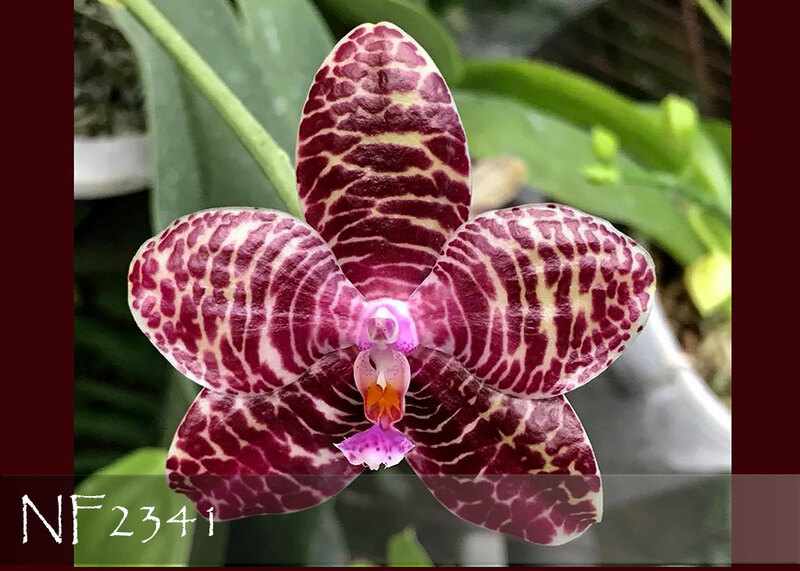 species in today’s breeding, Phal. lueddemanniana, violacea, speciosa and gigantea, the progeny will produce a long-lasting display. Highly Recommended !